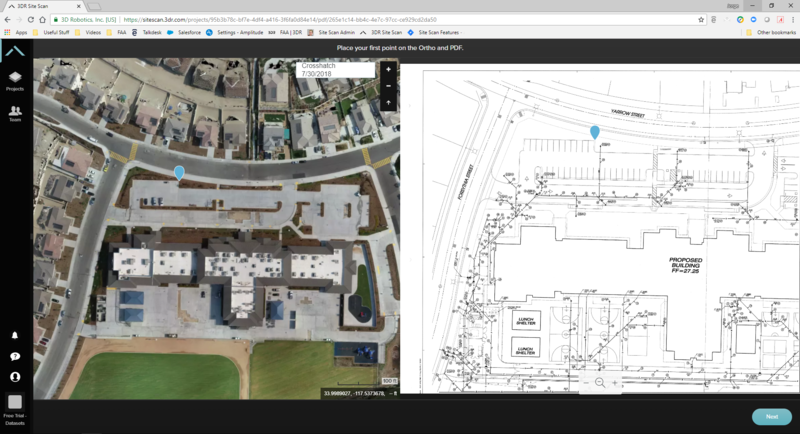 Comparing high quality, accurately georeferenced Site Scan orthomosaics with design and engineering files lets you easily identify as-built deviations and identify potential rework requests. 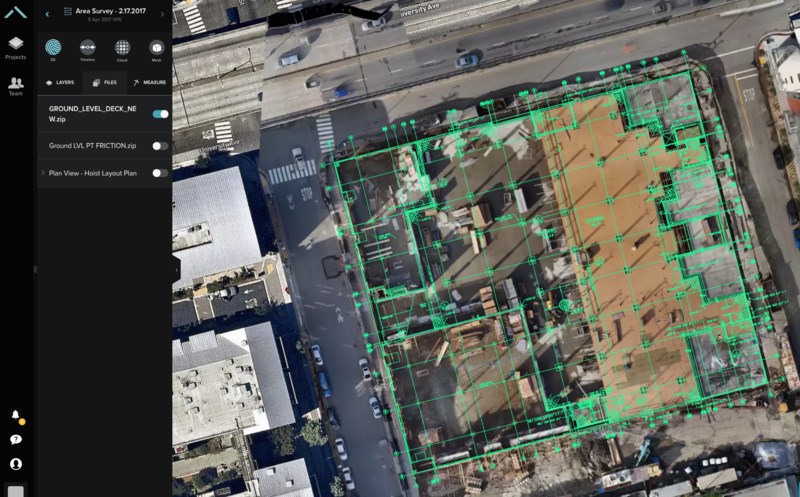 Georeferenced design files can be uploaded directly into Site Scan Manager for comparison or our Success Services team is ready and waiting translate any CAD files into your local coordinate system. To generate impactful overlays, follow the directions below. 1. Open the “Add” tab. You'll find the tab on the bottom left corner of your screen. If you have a georeferenced file from your GIS department in a zipped .shp, .kml, or .geojson format, you can upload it directly using the “Overlays” feature. If not, feel free to contact your Success Services engineer for more help. Note: The zipped .shp should contain these files (.shp, .dbf, .idx, .prj and .shx). 2. Upload the .zip file using the interface below. The file will take approximately two minutes to process into tiles ready for viewing. 3. View and analyze the overlaid CAD file along with any of your Flights within a Project. You can now more accurately track progress, flag potential areas for rework, and minimize communication breakdown between subs and stakeholders. 4. If your file is not georeferenced (like a .pdf) you will be required to geotag it. Site Scan will give you an interface to drop two different pins on the orthomosaic and the design .pdf file. Click "Next" to drop two additional markers and Site Scan will process your file to make it available for you.